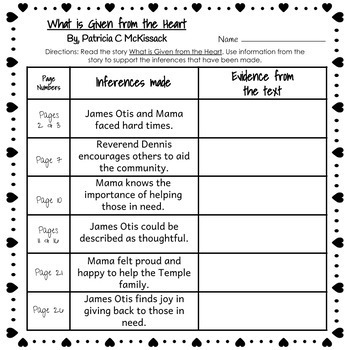 Your students will LOVE finding evidence to support inferences while reading the book What is Given from the Heart by, Patricia McKissack. This book does a beautiful job of teaching the importance of giving back to those in need, even when you don't have much to give. 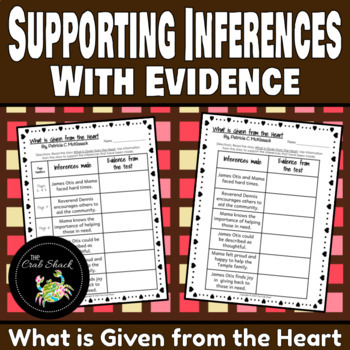 Students will read the inferences provided, and use the book to find evidence to support those inferences. 2 copies are included. One copy lists the page numbers where the inferences were drawn, the other copy does not. The page numbers provided differentiated support for students who struggle locating information or drawing conclusions. 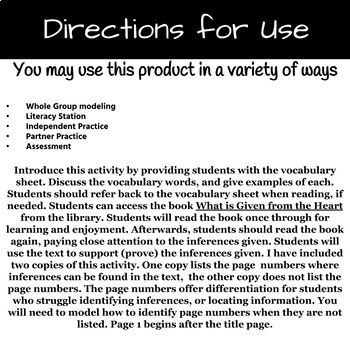 Be sure to model for your students how to find page numbers that aren't listed. Page 1 begins after the title page. 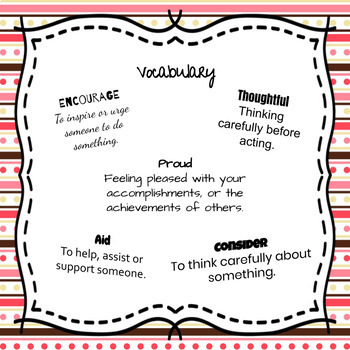 There is also a vocabulary sheet included. The vocabulary sheet acts as a scaffold to assist students with unknown words as they cite evidence from the book. Answer key is included! Be sure to check out my store for more fabulous products! Tag me on Instagram and show me how your students did with this activity!